What Does "Natural" & "Untreated" Mean In A Sapphire? When choosing a sapphire for those special events in life, you will never find better than a natural and untreated sapphire. What Does “Natural & Untreated” Mean For Sapphires? A piece of blue sapphire crystal rough. 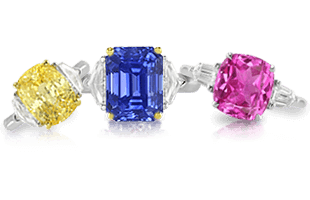 When considering colored gemstones, and sapphires in particular, understanding the terms “natural” and “untreated” are crucial to making an educated decision. Many people confuse natural for meaning untreated, and vice versa. In optimal circumstances, both terms should apply to the gemstone, but that is rarely the case with what is currently in the market. In very short detail, an untreated sapphire is one that has been taken from the ground and then faceted. Nothing at all was done to the stone to alter the natural beauty, which only elements and process in the earth created naturally. These sapphires are exceptionally more rare and valuable. For this reason, sapphires are extraordinarily unique from one to the next. The word “natural” identifies a sapphire crystal that has been developed in the ground, not synthetically created or treated in a lab. The word “untreated” means that a sapphire has not undergone any heat or chemical treatments to improve its color or clarity. 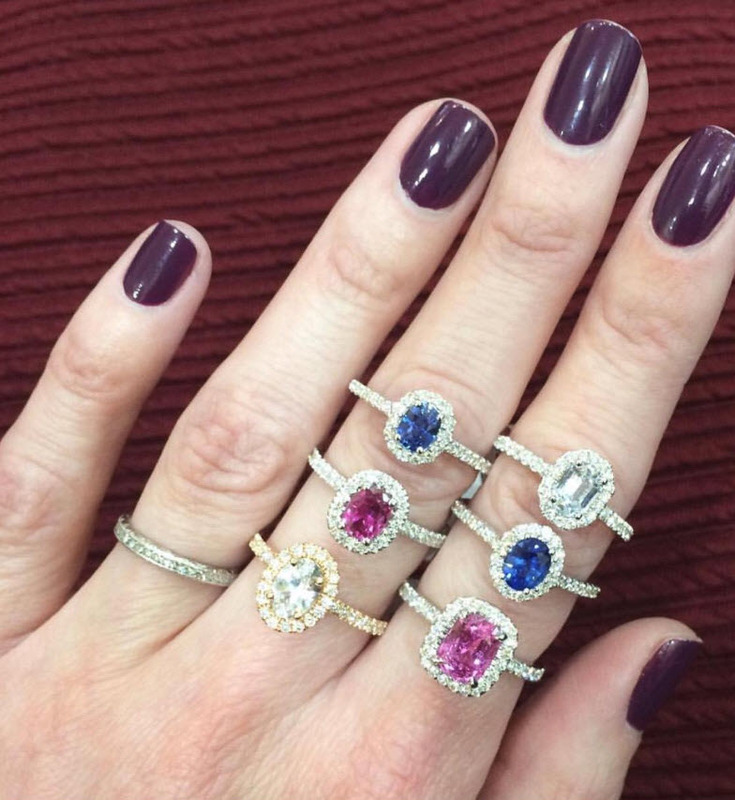 In 2019, nearly all sapphire stones and jewelry from online sources and in stores are described as “natural” if it isn’t a synthetic that is lab created. Don’t be misled, these “natural stones” may come straight from the ground but their color and clarity are often results of chemical procedures or heat treatments. The color and clarity of these treated stones are often created through a heating process. During this high heat treatment, additives such as glass and coloring agents can be included to fill natural cavities and cracks in the sapphires. The coloring agents are then diffused throughout the crystal, completely altering the stone’s original color. Because some techniques to alter stones have become so sophisticated, many natural and untreated sapphires can look just as good as the real thing. 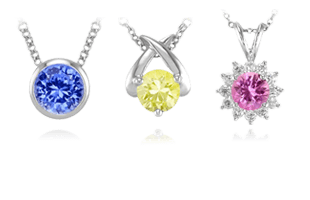 And with the trend in 2019 going towards colored gemstones, these may be very popular options. However, they will never have the durability and strength of a real natural sapphire. How Common Are Treated Sapphires? 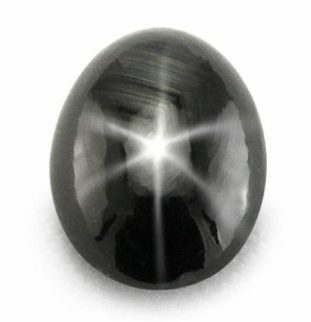 A beautiful black star sapphire with lovely asterism. There is no substitute for the beauty of an untreated sapphire. New treatment protocols are continuously being developed. Trained gemologists can often spot the telltale signs of gem treatments, but advanced technology is often used for 100% accuracy in treatment detection. We always disclose treatment on our stones if there is any and we describe our stones to the best of our abilities as ethical sellers. How Can I Tell If My Sapphire Is Treated? 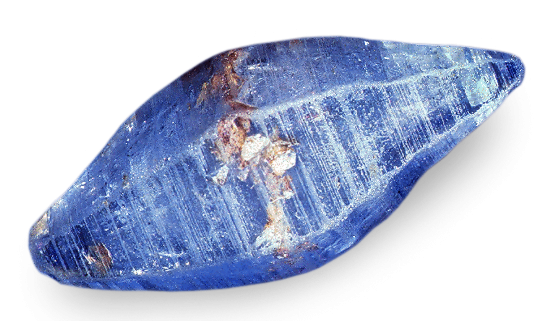 Natural rutile silk inclusions in a natural untreated blue sapphire. Ethical business practices in the gem and jewelry industry require sellers to disclose any known treatments or enhancements, since they have a significant impact on the actual value of the gemstone itself. Ethical sellers will provide customers with these certifications. 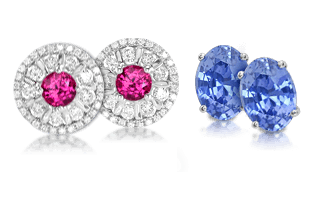 Determining if a sapphire has been heated is normally a simple task done by a trained gemologist who is familiar with inclusions in sapphires. When sapphires are heated at high temperatures, the natural internal inclusions change drastically. 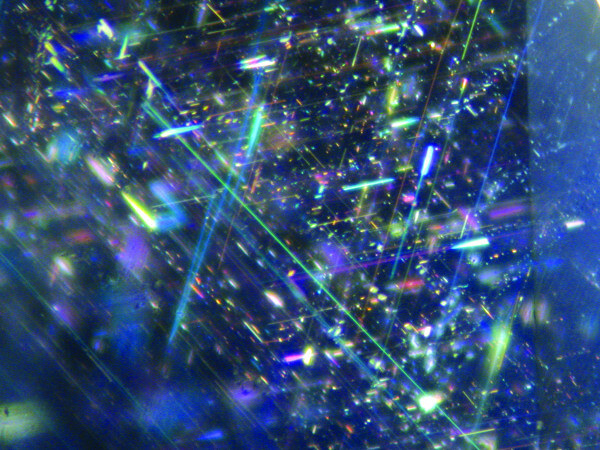 Viewing these radically changed internal inclusions is the “ID” of a heated sapphire. Madagascar pink sapphires are heated for as little as five minutes at low temperatures where no internal inclusions are affected. 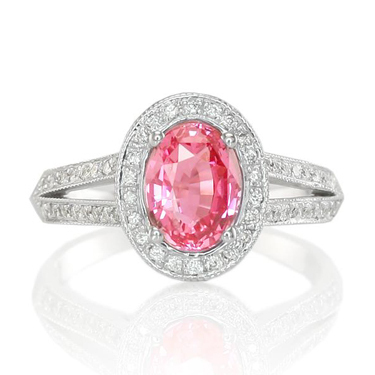 Because no internal inclusions are affected it becomes VERY difficult to determine if a pink sapphire has been heated. High tech equipment can be used to detect trace mineral content changes within the stone. This type of equipment is very costly and only used by high quality laboratories. 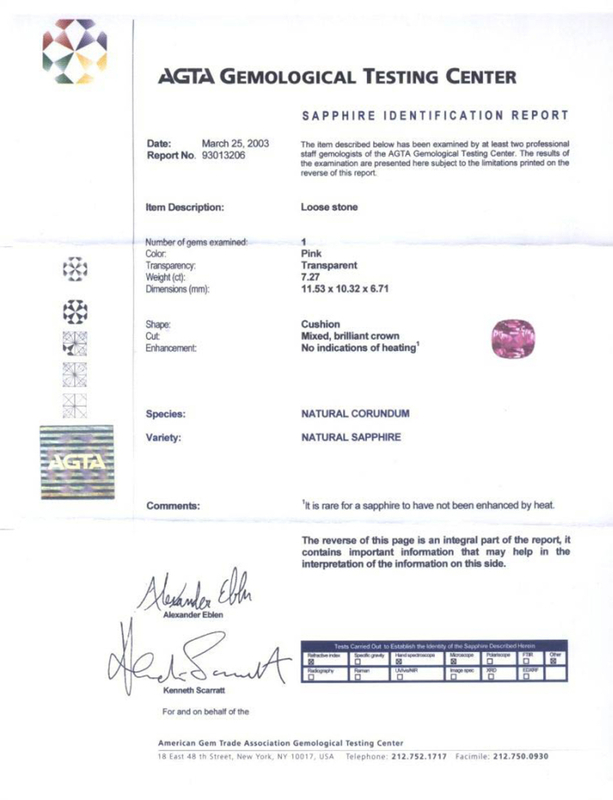 AGTA certificate stating the pink sapphire is unheated. 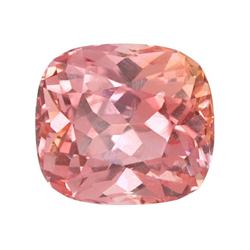 To help illustrate the point of how difficult it can be to determine heat treatments in pink sapphires especially, we have given multiple laboratories the same exact Madagascar pink sapphire for testing to determine if it had been heated or not. In many cases we were given conflicting results on the same stone from different laboratories. One lab would determine that the pink sapphire was heated and the other would determine it had not been heated. The reputable labs do an excellent job in most cases, but results on heating vs. no heating on pink sapphires from Madagascar can be about as worthless as origin determination. 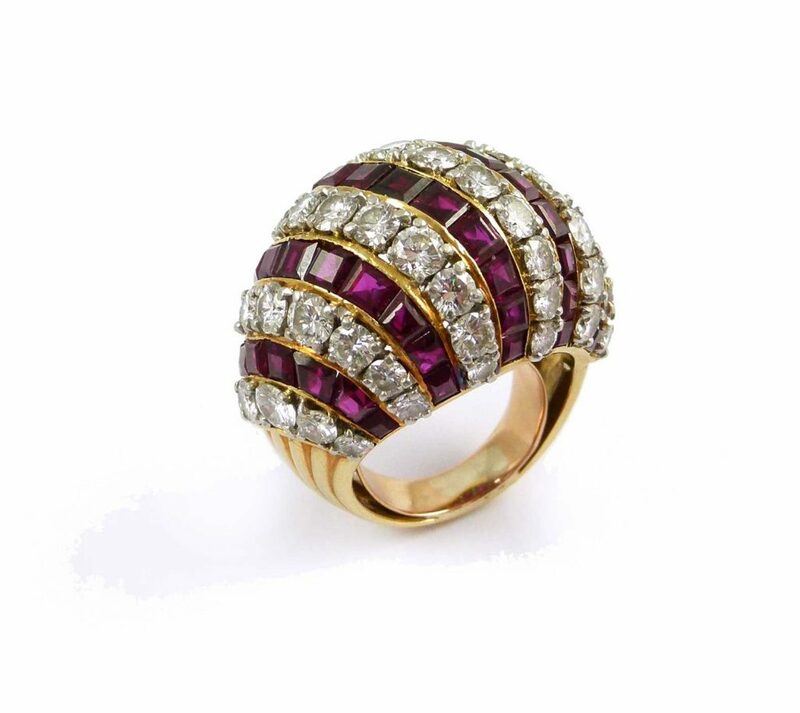 Pink sapphires from Sri Lanka and other locations such as Burma are a different story. These stones are usually heated at very high temperatures along the lines of extreme heating done with the yellow and blue sapphires that are treated, so treatments are much easier to detect. Some examples of the beautiful sapphire rings we love to create. 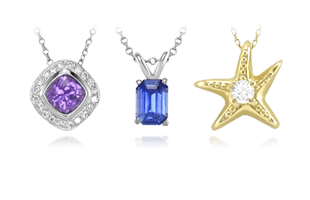 Most (if not all) sapphires and sapphire jewelry seen online and in retail stores will be described as “natural” sapphires. These natural sapphires are usually not accompanied with proper disclosures regarding the treatments that they have undergone. The word “natural” is intended to identify a sapphire rough crystal that has come from the ground (not synthetically created). What is likely to be left out in the description is the fact that the color and clarity, indicated as “natural”, is really not just “natural”. In almost all cases the color and clarity of the sapphire will come from various treatments that you may very well not be aware of. Yes, a natural sapphire is a sapphire crystal that has been created in the ground – but the color and clarity (what you are paying for in a sapphire) is created from a heating process that would have never occurred naturally in the stone that is being shown. Treated sapphires are not rare. In fact, unlimited quantities exist. Consumers looking for true value in their sapphire jewelry should be aware of misleading descriptions of treated sapphires being called “natural”. This is just avoiding open disclosure about the treatment of the stones. A gorgeous salmon colored padparadscha sapphire, natural and untreated. The truth is that almost everything you will see in sapphires anywhere is treated, and treating is not a simple process. It is a sophisticated procedure that has taken decades to perfect by experienced enhancement specialists. Treating and heating a stone is a very involved process that significantly changes the original appearance (and value) of the rough crystal that came out of the ground. Ultra-high temperature gas furnaces heat these stones for a period of 3-10 days, at or above the melting point of the crystal (1800°C). Additives such as glass and coloring agents can be included in the heating process in order to fill in natural cavities and cracks in the sapphires. Coloring agents are then diffused into the heating process in many cases, where the coloring of the sapphire is completely and radically altered. 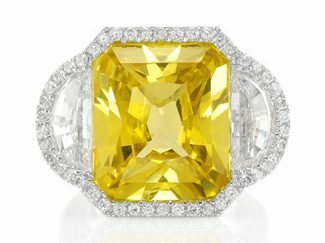 Yellow radiant cut sapphire and diamond cocktail ring. Specializing in natural untreated sapphires for decades clearly shows my bias towards only recommending customers buy sapphires that have not been treated in any way. But I don’t feel this way in every instance. For some colors I am adamant about only buying untreated, such as orange or yellow sapphires. For yellow, there exists an abundance of fine quality options in an untreated stone. There is no real supply issue, and their beauty simply cannot be matched by a treated yellow sapphire, in my opinion. 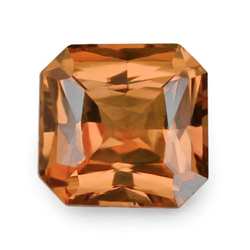 For orange heat treated sapphires, the heating process to achieve a “desired” color is so harsh, and I cannot appreciate the color in the stone after that is done. The untreated orange sapphire is so rare and a real thing of beauty. A radiant cut natural and untreated orange sapphire. For padparadscha sapphires, there are so few natural stones available, and the heating process used for pads involves a very low temperature that doesn’t alter the inclusions or the color overly much. Demand is so high, and there are lovely, high quality heated padparadscha sapphires available. For blue sapphires, based purely on rarity, I’m not a fan of heated blue sapphires. I feel the best untreated blue sapphires will look virtually the same as a top quality heated blue sapphire. But I don’t feel the price adequately reflects the difference between treated versus untreated, and the marketplace is flooded with demand for both, so I don’t see this changing any time soon. Now that you understand how natural and untreated sapphires differ from their counterparts, learn what these precious gems are made of in Corundum Crystals & Chemistry!